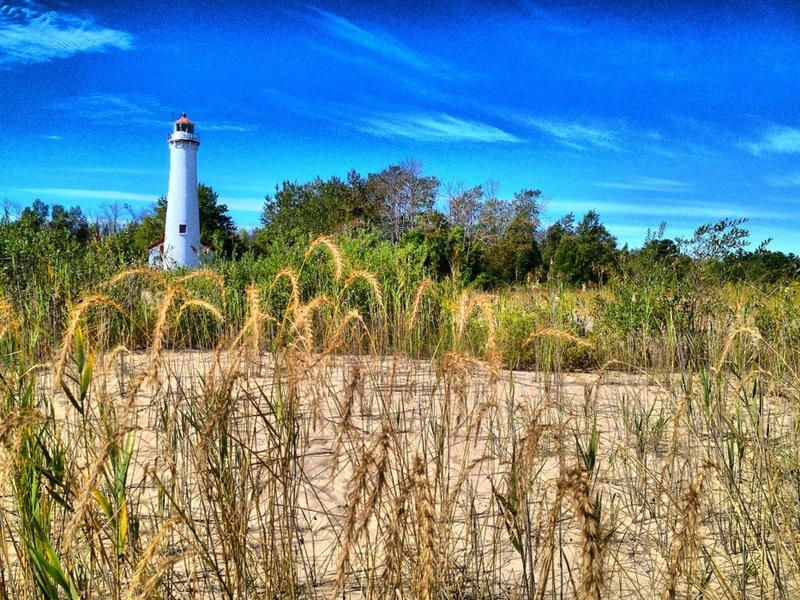 While camping this weekend we took a side trip up to Sturgeon Point Lighthouse, just North of Harrisville, MI. I took this shot from the shore and tweaked it with Snapseed and Dynamic Light. Just noticed this for the first time today. Oh, gas stations have been charging customers for air, for a long time, but we see the results of inflation, when it comes to inflating your tires. The cost is $1.00 and now you can use a charge card! 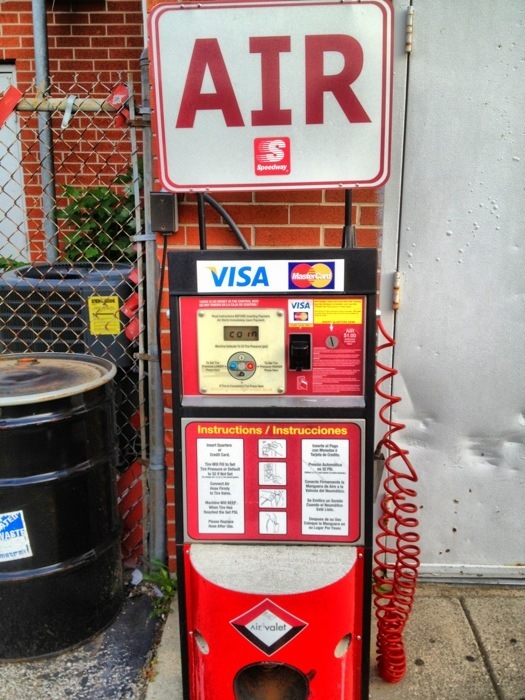 I wonder how many tires you can inflate for $1.00… To think, we used to ride our bikes to the gas station and fill our tires for free and then buy a candy bar for a nickel!